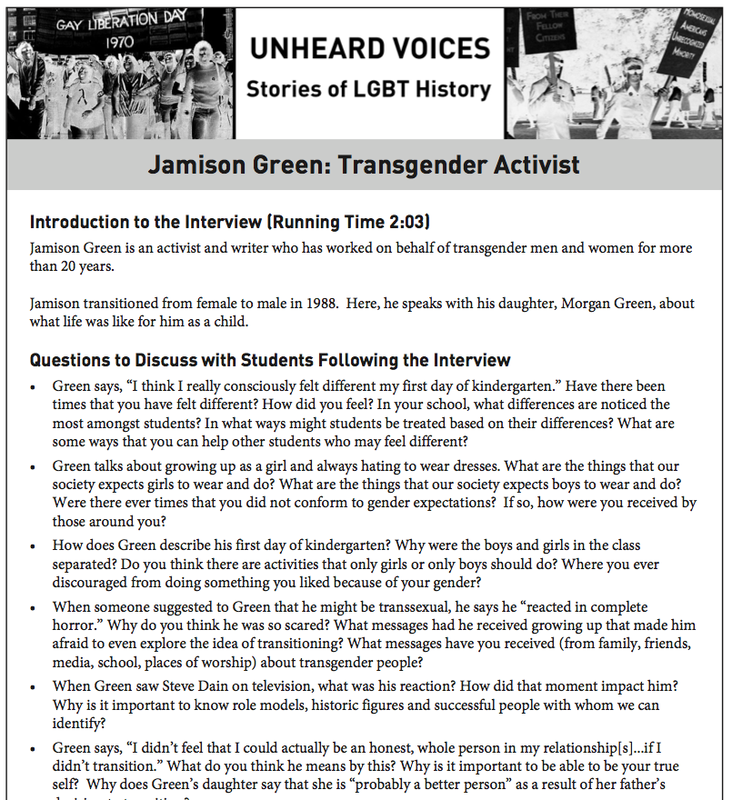 Check out this two minute MP3 interview with Jamison Green, a trans man who is honest about his life journey in a conversation with his daughter, Morgan. "And after you were born, as I was experiencing my relationship with you, I didn't feel that I could actually be an honest, whole person in my relationship with you, or with anyone, if I didn't transition." And then his daughter responds, "And I think that I am probably a better person for it." 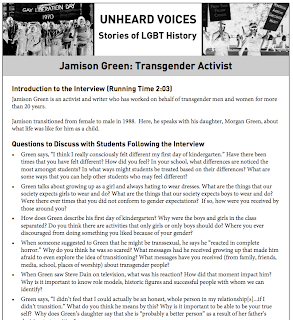 With California's passage of the FAIR Education Act, GLSEN's Unheard Voices is an important resource for middle and high schools to tell (and discuss and learn about) our untold LGBTQ history. Unheard Voices is a joint project of GLSEN, The Anti-Defamation League, and StoryCorps.